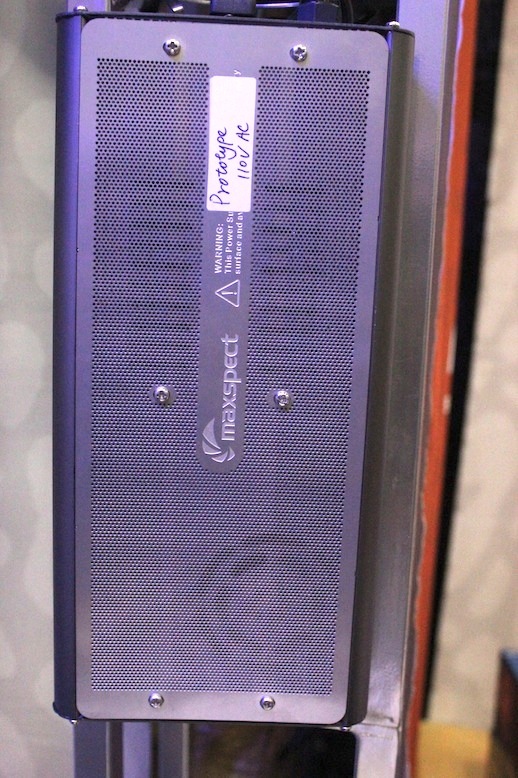 Another high profile prototype is being debuted at MACNA, with this one coming from our friends at Maxspect. 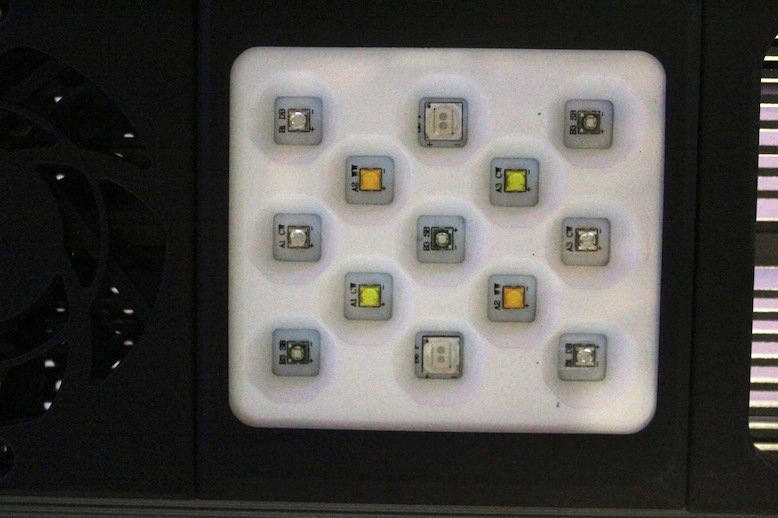 They are working on a brand new R420R ‘Razor’ 200W LED fixture, and it will be their biggest yet. 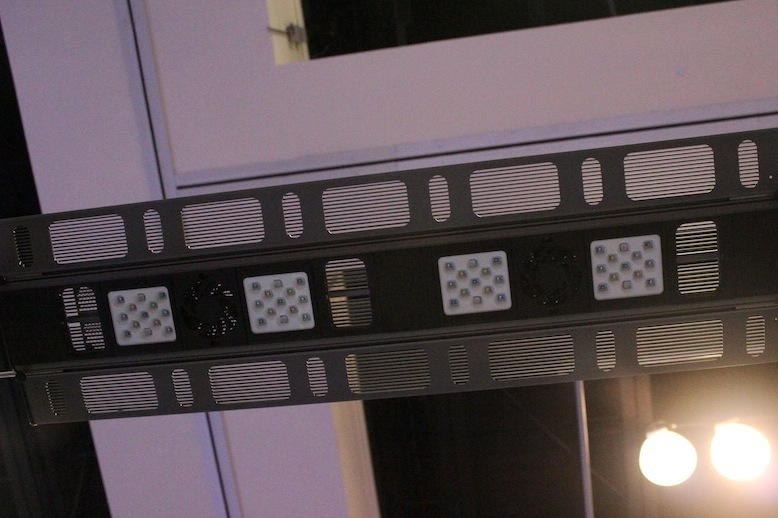 This 200 watt model will be 36″ long, with arms that will expand the fixture’s reach to over 48″. 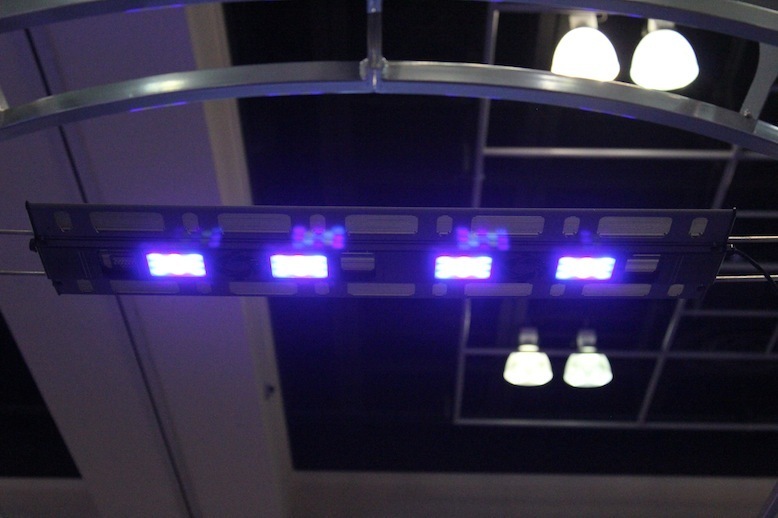 This extra length means the need for a fourth LED cluster, but that’s not the only news this fixture brings to the table. 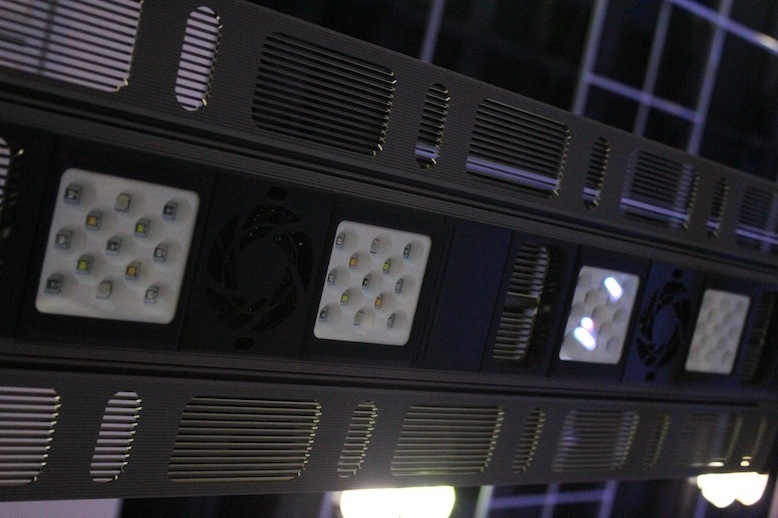 In addition to being larger, Maxspect has incorporated an entirely new set of LEDs with new reflectors that will really spread out the light. The new chips will sit in front of reflectors that have been coated with a special kind of highly reflective paint. 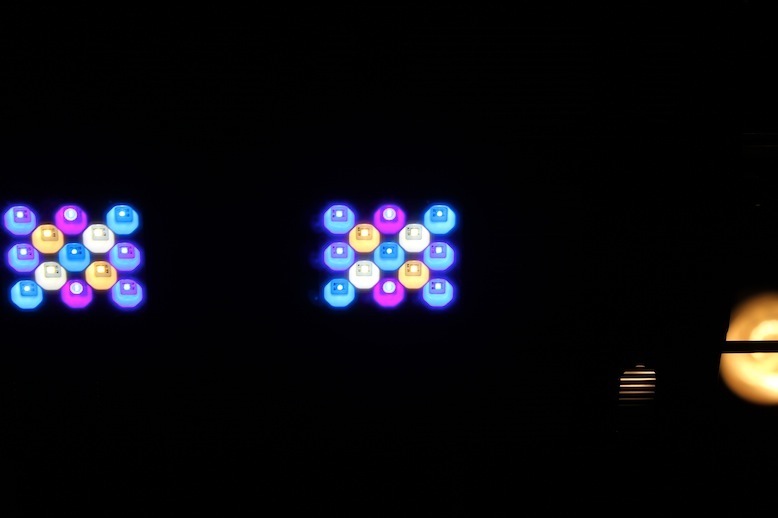 These reflectors give a spread of more than 100 degrees, where previous generations of Razor had a tighter light output pattern that created a disco ball effect. 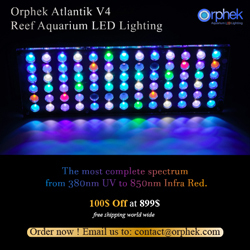 The only concern that was raised in our discussion of the fixture with Maxspect reps was the possibility of the power of the LED clusters being hampered by the center braces of most large glass aquariums. The smaller models of the Razor didn’t run into many center brace issues because those aquariums were typically too small to require the brace. Larger tanks that aren’t custom built, unfortunately, will have some form of a brace. Thankfully, there’s a built-in workaround. The adjustable legs of the fixture could help aquarists get the LED clusters away from hitting the center brace directly. If a center brace presented too much of a hurdle, then aquarium keepers could always turn to the new Maxspect LED pendant instead. I’m drooling over this fixture!!! I wish though they would include some kind of external control. Why can’t more manufacturers incorporate 0-10v Analog or PWM dimming!!! I think this is the time where they should announce replaceable LED pads soon for the previous R420R owners. I love my Razor but hopefully this more powerful model won’t melt like mine did at one end…..